The Buddha said that there is just one way to overcome the suffering seemingly inherent in the human condition. The practice of mindfulness generates insight into the way our minds work, revealing why it is that we feel dissatisfied and distressed, and exactly how suffering can be overcome. 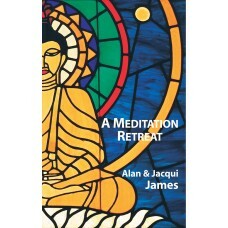 With a clarity and directness of approach that can only come from understanding, Alan and Jacqui James elucidate the practice of mindfulness, covering such topics as how to meditate, hindrances to the practice and how to surmount them, the relationship between teacher and student—and enlightenment itself, the final goal of the spiritual journey.